Shell's new premium fuel is focused on addressing these issues that continuously plague the fuel systems and engines of older cars. V-Power Nitro+ is now available nationwide in 91 to 93 octane and was first introduced at a promotional roll out in Times Square in late 2015. Since then, the Shell scientists have been accumulating lab data and real-world experiences amongst a variety of vehicles and applications. In particular, they’ve noted some interesting effects on older carbureted engines with higher miles. The first point of interest to classic car owners is the detergent additive in V-Power Nitro+ fuel. The blend features seven times the EPA-mandated LAC (Low Additive Concentration) found in standard gasoline. 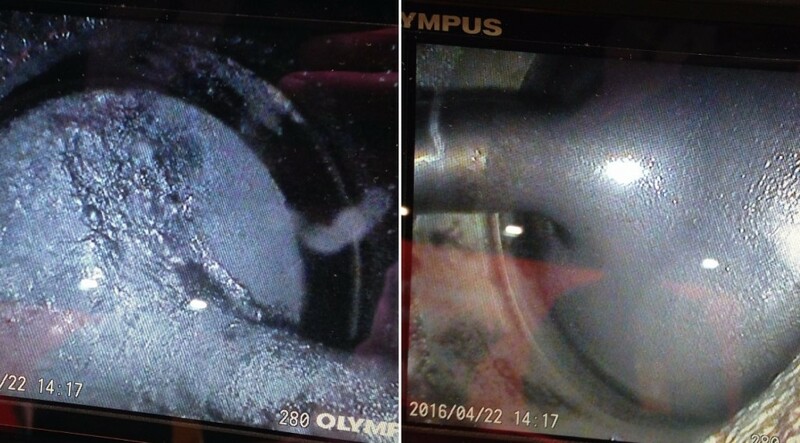 Combined with an anti-wear protector, the fuel has been found to have a rehabilitative effect on gunked-up (didn't know that’s an actual technical term) valves and intake chambers, with data showing it removes as much as 60 percent of deposits from the valve area after just the first tankful. The above are photos of the left and right engine valves. The fuel lines were separated that the LH cylinders were fed conventional premium fuel, while the RH was fed Shell V-Power Nitro+ for 1,500 miles of driving. The evidence is rather stunning. The second point is how Shell addresses the effects of Ethanol. Ethanol, the oxygenator of choice since MTBE was abandoned in 2005, is a hygroscopic compound. It attracts water into your fuel system. Shell counters this with a corrosion inhibitor in V-Power gasoline. As reviewed, this means the additives also have a sheathing effect on the rubber, plastic and silicone compounds in fuel hose and carburetor seals, areas which have been known to react adversely to ethanol in classic cars. The third point, although anecdotally evidenced, is that V-Power Nitro+ may clean and lubricate carburetor needles and seats, and de-gunk piston crowns and rings, improving compression and fuel ignition. According to Shell, it’s unknown how well the anti-wear additive might lubricate non-hardened valve seats in classic cars. The Shell scientists are ivery interested to learn more about the benefits of using V-Power Nitro+ in Classic cars, but they face a cost-benefit in collecting the data within the classic car vertical, making research harder to complete. Nonetheless, they have received enthusiastic reports from classic car owners. The experiment is easy enough for you to complete on your own; just try Shell V-Power Nitro+ in your own Classic and note the improvements. How Much Ethanol is in V-Power Nitro+? After completing a significant amount of research, it became apparent that only seven states (Louisiana, Minnesota, Missouri, Montana, Oregon, Pennsylvania and Washington) mandate the use of ethanol, three states have banned it (Maine, Florida and Hawaii) and the other states have varying degrees of "mandate". 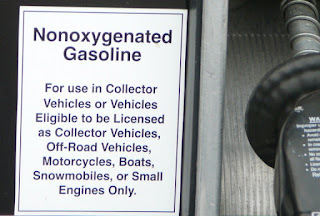 We also came across labeling requirements which makes the process of determining ethanol content harder. In our home office state of Georgia, the pumps are labeled "CONTAINS 10% ETHANOL", but Georgia has no mandated requirements. Although we were unable to find conclusive proof, the label appears to indicate the fuel "MAY CONTAIN UP TO 10% ETHANOL". Does that mean, the fuel we buy here may or may not have any ethanol in it? The answer seems to be, yes. Or if it does, how much? The only answer we could surmise is anywhere between 0% and 10%. 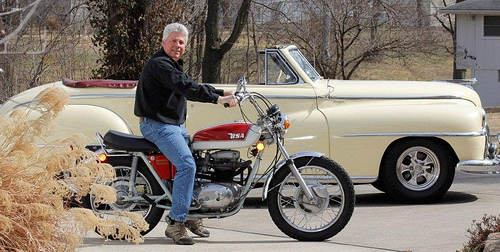 When it applies to Classic vehicles, we believe the main point to consider is that Shell is the ONLY company which has tested, proved and states their fuel addresses many of the issues introduced by ethanol blended fuels. (See http://www.shell.us/motorist/shell-fuels/shell-v-power-nitro-plus-premium-gasoline.html). As noted above, the state in which you reside will set the amount of ethanol in V-Power Nitro+. 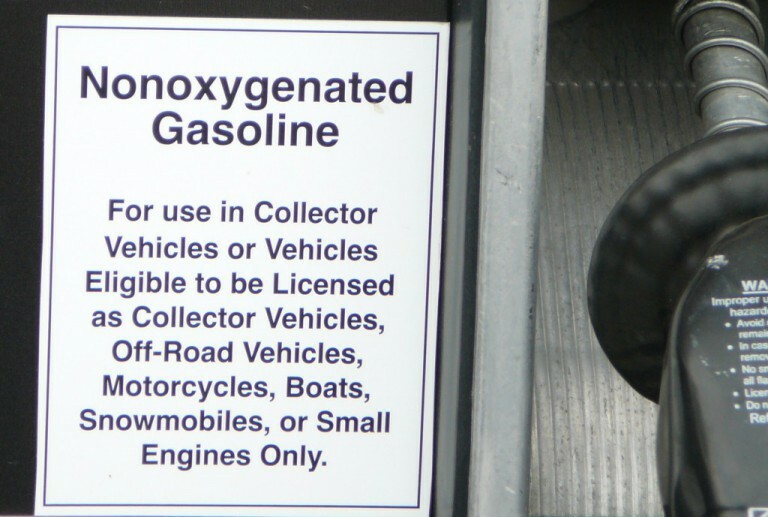 We read several post from Canadian owners who discovered this fuel had zero ethanol in Canada. To round out this post, we found two informative videos which contain significantly detailed information. As always, we do not received any type of compensation from Shell for communicating this story. Our goal remains to offer helpful information for our readers, followers and Garagistry subscribers. Please note some of the video details reflect results involving fuel that is delivered via carburetion or fuel injection other than direct injection. In a direct injection system, fuel is delivered into the combustion chamber, not the intake system.